Welcome to your Subject Guide for English. Below are links to Key Databases for English. Use the tabs along the top of the screen to find more specialist databases relating to different periods and genres and which include both primary and secondary resources. Search the University's Collections. Find print and electronic books, journal articles, rare books, archives, photographs, theses and research publications and museum items. Search over 2 billion records held at more than 10,000 libraries worldwide. Below is a list of the main databases which provide onlineaccess to literary texts. Additional resources for primary texts are listed on the Specialist Databases tab. digital facsimiles of nearly every book published in England, Ireland, Scotland, Wales and British North America and other works in English printed from 1473-1700. Below is a list of the key databases for literature. These provide more functionality than SEEKER and are particularly useful if you want to look at a range of materials on a specific author or look at a literary period or literary movement. LION will allow you to search all 3 databases at once. More specialist databases relating to individual authors or literary periods/genres are available by clicking on the Specialist Databases tab at the top of this guide. 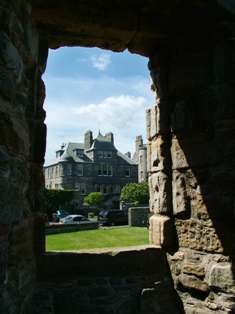 - at the University of St Andrews Single sign-on page, enter your University Username and Password. index to over 4,400 international journals and series, 1,000 book publishers, essay collections, working papers, proceedings, dissertations, and bibliographies on literature, language, linguistics and folklore, from 1920's onward. Produced by the Modern Language Association of America. a collection of full-text e-journals in the humanities. - choose University of St Andrews from the list of institutions.